The disastrous rollout of American Airline’s new uniform continues to upset some of the carrier’s 70,000 employees. As you may remember, the new threads were distributed to staff last September – marking the first new uniform for longtime AA employees in 25 years. But the introduction of the new look has been anything but smooth. 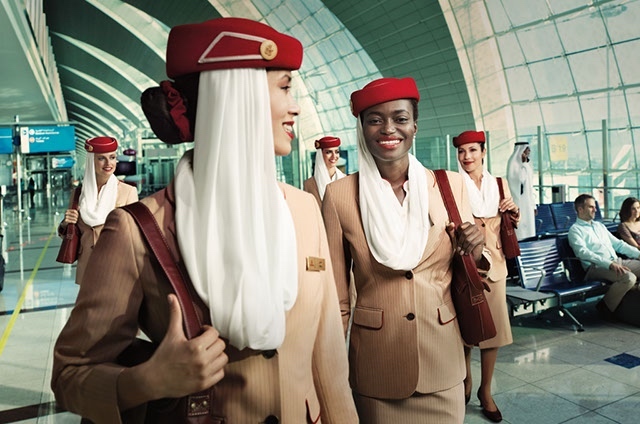 More than 3,200 Flight Attendants have complained to their union about suspected “health reactions” they claim have been caused by the new uniform. Symptoms have included headaches, rashes, hives, burning skin and eye irritation, itching, and respiratory problems. An alternative uniform was made available to staff free of charge. A cotton and synthetic fabric option have been added as a choice on top of the original wool design. AA Flight Attendants have been authorised to wear their old uniform – Should they still have it in their wardrobes, of course. Staff can even buy their own uniform and get reimbursed for any costs incurred. Over 7,000 Flight Attendants have already ordered the alternative uniform options manufactured by Aramark. But Bob Ross, National President of the Association of Professional Flight Attendants (APFA) didn’t consider this case closed. In April, Ross said he expected AA to announce a permanent solution soon. Part of that plan was to undertake a new programme of joint chemical testing between the company and APFA. It now looks like APFA and American have fallen out over this process. APFA wanted the testing to be “thorough, scientific, and designed to provide meaningful information.” But they couldn’t afford to conduct independent testing on their own. So the support of American was meant to be really useful. Unfortunately, the two sides have come stuck on two points. First, APFA wanted to include uniform items that had been worn by staff who suffered reactions – That’s something American has refused to include in the tests. Then, American wanted to agree a “joint interpretation of the testing results” before they were released. Then, American wanted to agree a “joint interpretation of the testing results” before they were released. In other words, APFA would have to go with whatever a jointly selected toxicologist said of the results. The union has said American is putting “unreasonable conditions” on the process despite initially making progress. For now, however, any future chemical testing has been put on ice. “APFA is extremely disappointed that the Company has placed these conditions on a joint testing program, particularly in light of the time and resources that APFA has devoted to this project over many months,” said Marcy Dunaway, APFA National Secretary.